I skipped out of the house after 3:00pm to catch the last hour of the incoming tide. 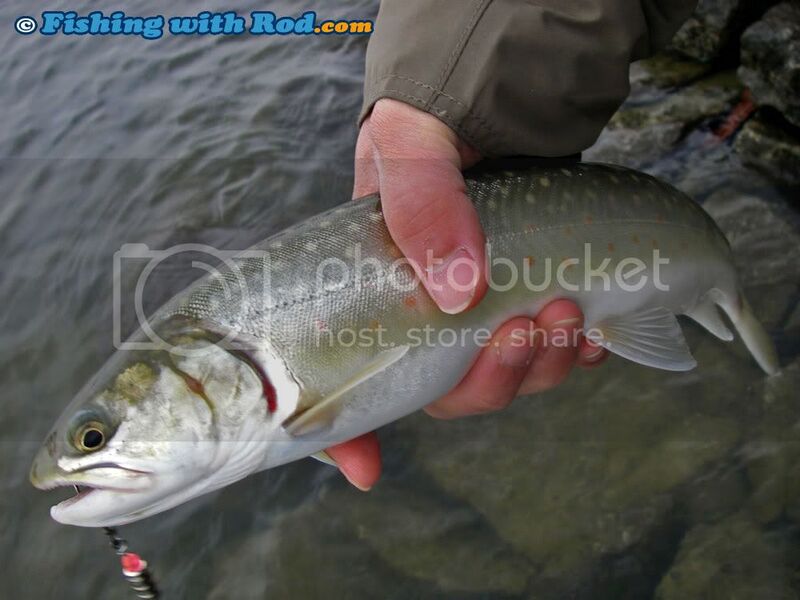 Second cast into the day brought this bull trout to shore. This fish tried to grab the spinner really hard at first. I missed the hookset but it greedily came back from the second grab before I ran out of water to retrieve. A new angler is definitely needed, or I should start catching bigger fish. After releasing this fish, I thought today was going to be jolly dolly day with multiple hook-ups. That obviously didn’t happen for the rest of the afternoon. The most exciting part of the day came around dusk. At one point I was reeling in my spoon really quickly to recast. When the spoon was approaching me near the surface, I saw a big brown shadow behind it. It sped up and went over the spoon from one side, then again from the other side, and repeated two more times before I ran out of water to retrieve. It was obviously an attempt to attack, but I never felt a tap on the rod while it happened. Judging by the size of the head, which expanded when it extended its jaw near the spoon, I would say it was a bull trout that weighs 5lb or more. 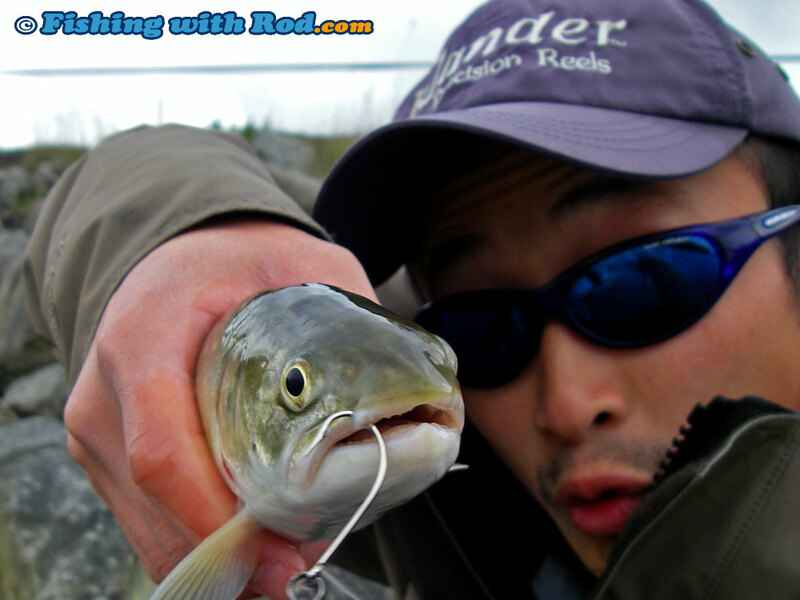 Although the Tidal Fraser River looks like a wide canal filled with brown water, there are actually many exciting findings if one chooses to look at it more closely when fishing. When spinning, I like to keep the lure in the water until it absolutely has to come out in the last second. Too often there would be a follower behind the lure. Spincasting is as easy as cast and retrieve, but I’ve found that a sudden change of retrieving speed would trigger a take. If the tension suddenly drops when retrieving a spinner, it indicates that the blade has stopped turning. This happens when it hits bottom, but I find that most of the time it is because the following fish has bumped into the hook or lure. 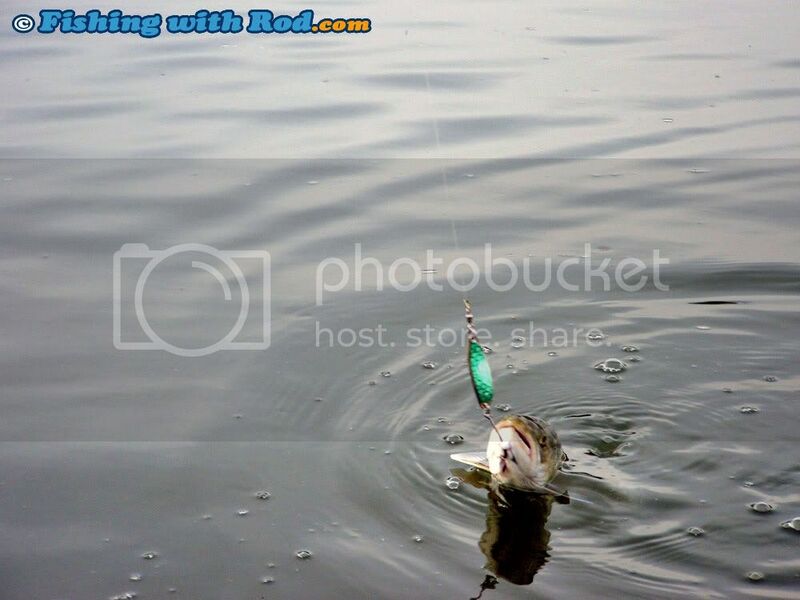 A sudden quick jerk on the lure that takes place once every few seconds would generate the attention of nearby fish. The Tidal Fraser River is a dark environment, it can only be advantageous to use any available movement that a lure can produce. 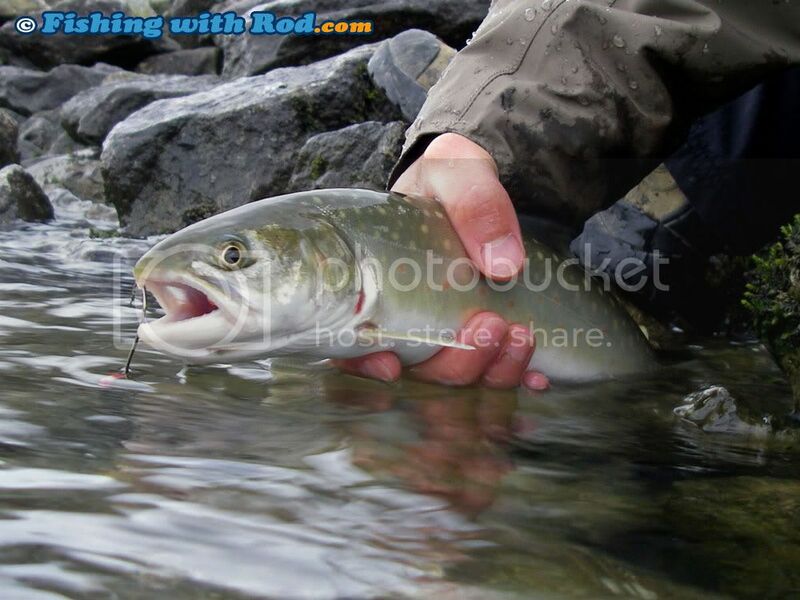 Bull trout and northern pikeminnow are typically ambushers, which suspend, swim around slowly and attack when a food item swims by. Quite often I observe fish, particular larger ones, emerging near the lure and attack it from the side. This observation can never get old, it feels like the heart always skips a beat or two when it happens. This method of attack also explains why some of the fish are often hooked under the lower jaw or outside the jawline. No salmon were harmed today. This entry was posted on Friday, October 24th, 2008 at 8:26 pm	and is filed under Fishing trip. You can follow any responses to this entry through the RSS 2.0 feed. Both comments and pings are currently closed.